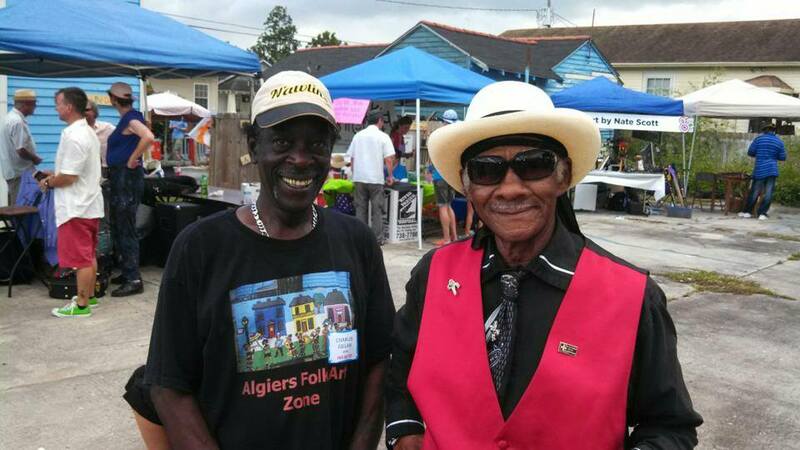 On Saturday, Nov. 3 from 11 a.m. to 7 p.m., the Algiers Folk Art Zone & Blues Museum will host the seventh annual Algiers Folk Art Festival. A showcase of regional folk art, the festival will feature artists’ tents, live musical entertainment, and food-truck concessions. 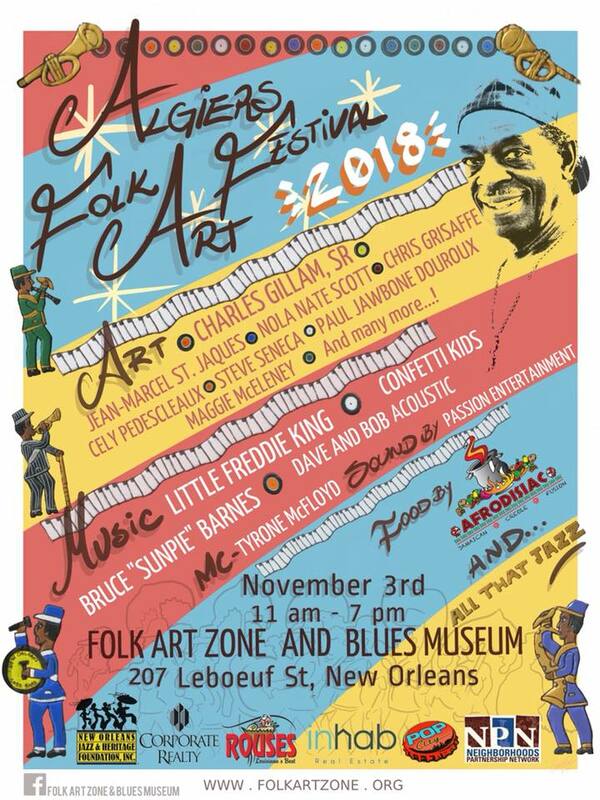 The event will be held on the grounds of Folk Art Zone & Blues Museum, located at 207 Lebouef at Patterson, along the Mississippi River levee in Algiers Point. 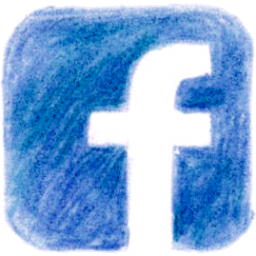 Artists who will be showing and selling their work include: Charles Gillam, Sr., Jean-Marcel St. Jaques, NOLA Nate Scott, Chris Grisaffe, Cely Pedescleaux, Steve Seneca, Paul Jawbone Douroux, Maggie McEleney, and many more!There will be paintings, sculptures, mixed media arts, collage, pottery, jewelry, and other creative works on display and available for purchase. We encourage you to support these folk artists by buying their works! Free live music includes some of New Orleans’ best-known performers: Little Freddie King, Bruce Sunpie Barnes, Dave & Bob Acoustic, and a neighborhood kids group, the Confetti Park Players. The event will be emceed by Tyrone McFloyd. Concessions will include specialty items by New Orleans’ area food trucks, plus beer, wine, and soft drinks. Funds raised will be used toward enhancing the Zone’s programming and facilities as well as creating initiatives for increased visibility to self-taught artists. 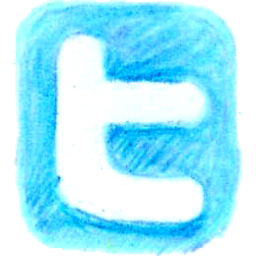 For more information about the Folk Art Zone, visit folkartzone.org.